Peter Hargreaves, co-founder of personal finance blue-chip, Hargreaves Lansdown, is lucky enough to have been in such a position. The first Eureka moment was when he got the first batch of cheques through his front door from his first ever Hargreaves Lansdown mailing. Reportedly he threw them in the air and exclaimed to himself ‘I am going to be a millionaire’. He wasn’t wrong. From this point on he made it his life’s mission to champion the consumer in the personal finance market, tear down the walls of stuffy, jargon talking establishments and take the lazy life companies-of-old to task on their charges, lack of transparency and elitist behaviour. 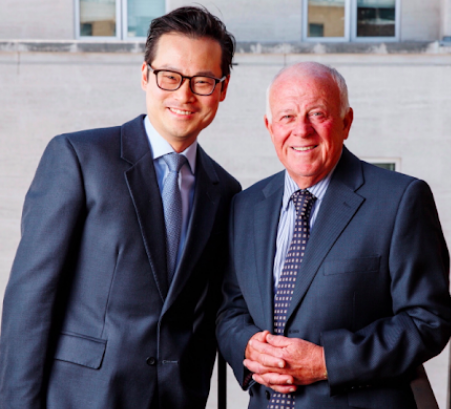 But, having stepped back from Hargreaves Lansdown, Peter was lucky to have a second Eureka moment, when Stephen Yiu – a one-time employee at Hargreaves Lansdown – approached Peter with an idea of setting up a new asset management company, one which also challenged the status quo in the investment management industry. This company is Blue Whale. It was somewhat fortuitous for both parties involved. Peter, who has long held Stephen Yiu in high regard, was looking for an international fund in which to invest a large portion of his family’s wealth. Stephen was looking for an investor in his new company, and ultimately into his fund. Having known Stephen for 15 years, it was a simple decision to make. But why Blue Whale and why Stephen Yiu? Well, put simply, the trust Peter has in Stephen is unparalleled. Not only does he implicitly trust Stephen’s talent as a fund manager, but he also believes he will ‘work his socks off’ for the fund – being someone Peter remembers as ‘one of the hardest working individuals I came across in my 45 years in business’. The investment approach Stephen will be using for the fund has been tried and tested at his previous places of employment, including the hugely successful Nevsky Fund run by Martin Taylor – please see our investment philosophy page for more details.